Will Maddie be able to help Horace and Gilan break out of the old hill fort they're trapped in? And if they do, how can they take back the impregnable Castle Araluen from the traitorous Dimon? Most important of all, when the battles have been fought and the dust has settled, who ... read full description below. Will Maddie be able to help Horace and Gilan break out of the old hill fort they're trapped in? And if they do, how can they take back the impregnable Castle Araluen from the traitorous Dimon? Most important of all, when the battles have been fought and the dust has settled, who will rule the Kingdom of Araluen? 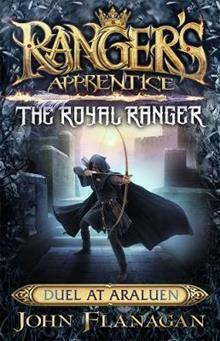 Find out in the gripping third book of Maddie's adventures as The Royal Ranger.